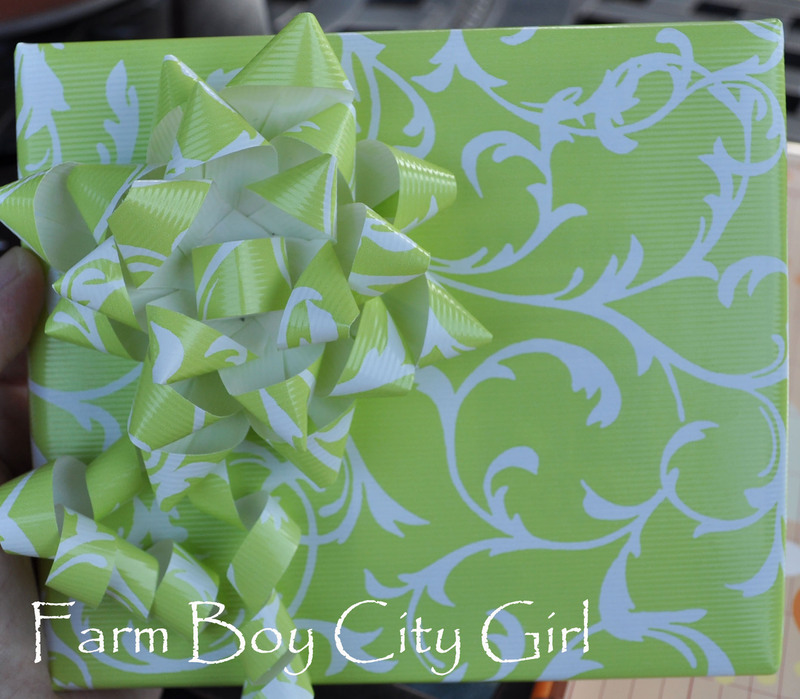 Have you ever been to Hallmark looking at all the pretty paper and matching bows? Well you don’t have to spend a lot of money to achieve this – or really any extra money. 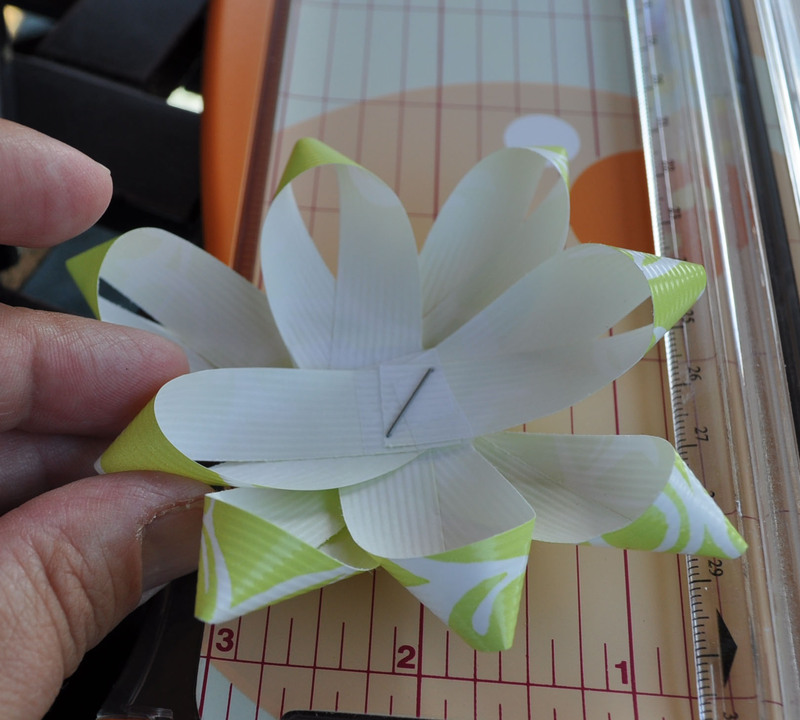 All you need is your paper and you can make your own bow. I have said in previous posts that I get a lot of my paper at TJ Maxx. They have really nice thick paper. So basically to make your free bows you just need a little bit of the left over paper. You will need 10 strips in total in 5 varied lengths. 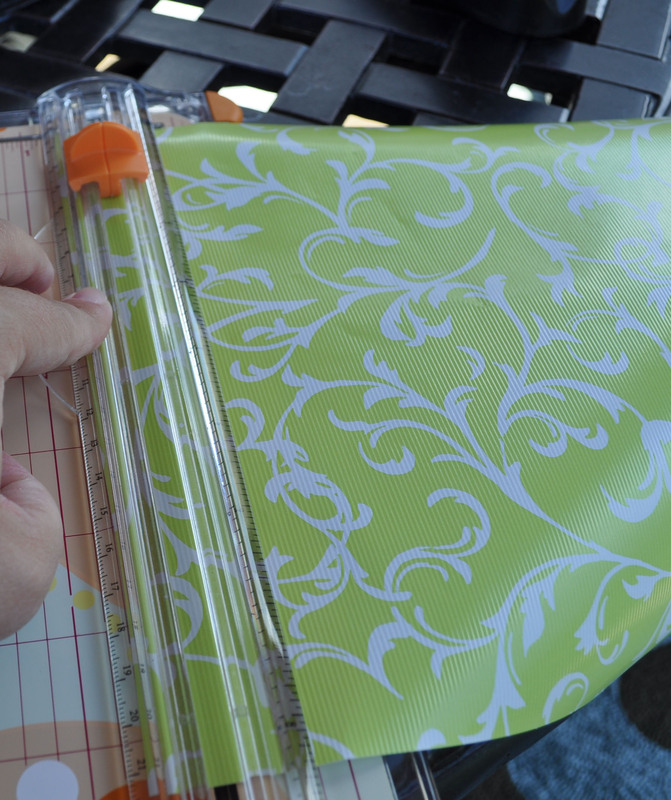 Cut the paper in the width that you would like. 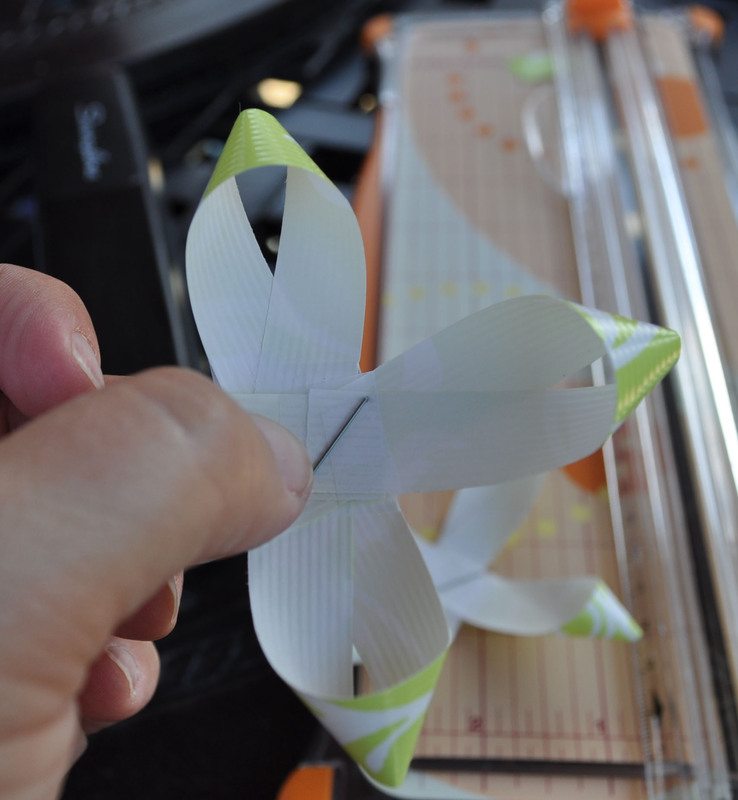 On this bow I used 1/2 inch strips. So what you will end up with, for example, is 2 – 12 inch strips, 2 – 11 inch strips, 2 – 10 inch strips, 2 – 8 inch strips and 2 – 6 inch strips. All 1/2 inch wide. This will give you about a 4 inch bow. Start with one of the longest strips and fold it in half so you know where the middle is. Then take one end, twist and join the end to the middle. Then do the other end and staple. 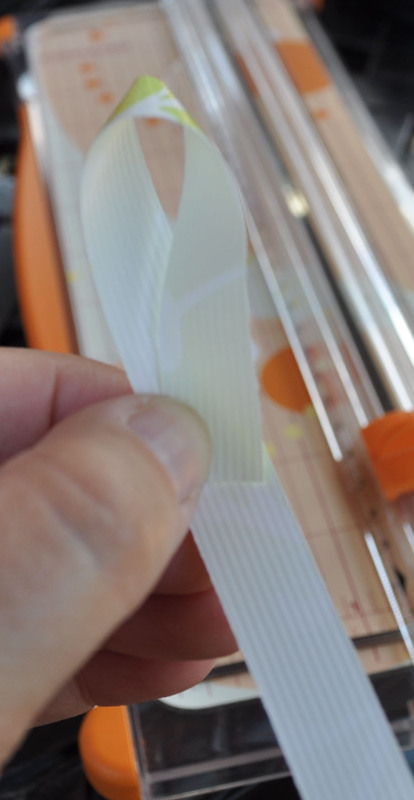 Do this for the other strip the same length and staple them together. 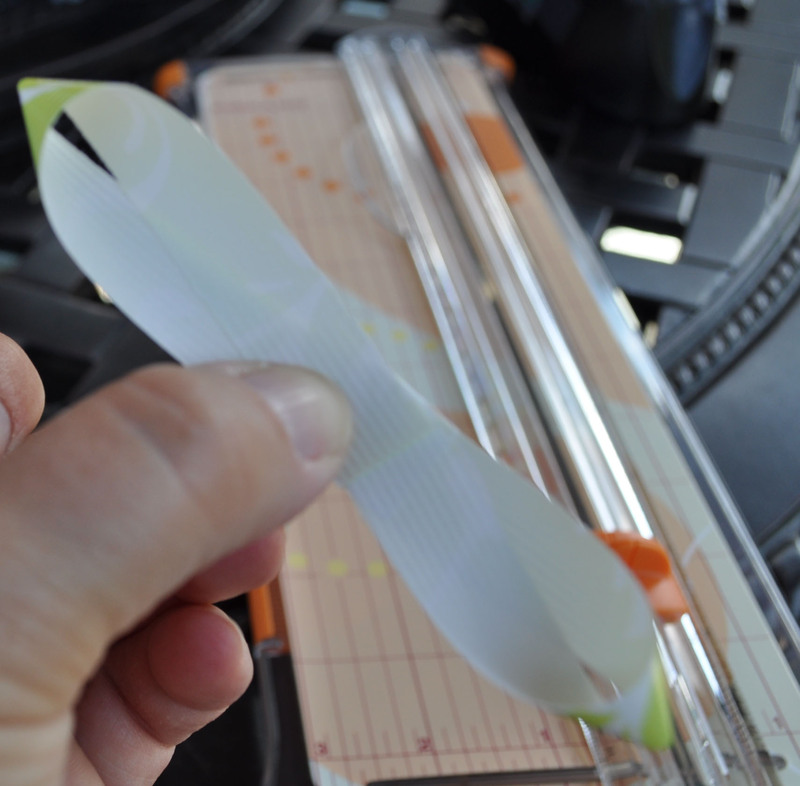 Take the next two smallest strips and do the same thing until you get all five sizes done. Now it’s time to group them together. You can either glue or staple. 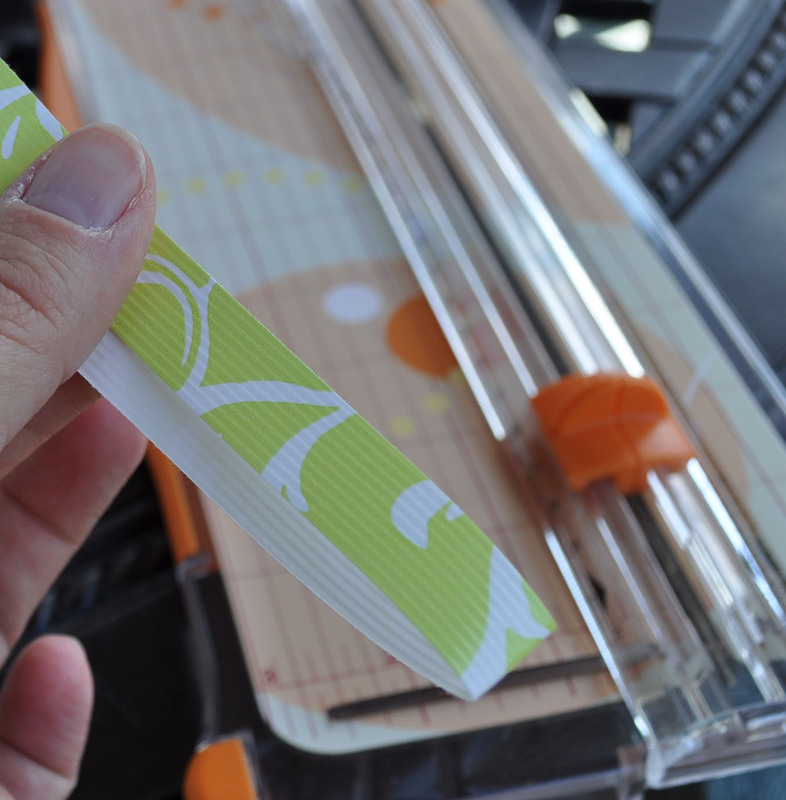 It’s easier to glue them at the end as the stapler is hard to get in the middle. To finish it off take a small piece of paper and roll it into a circle. Easy and it looks like you had it professionally wrapped. 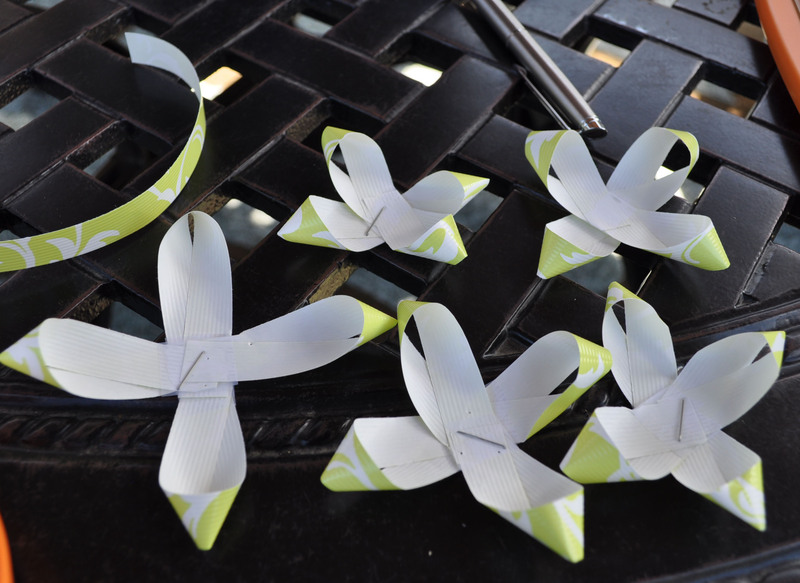 Add a few curly pieces of paper – like the curly bows, and there you have it. A beautifully wrapped present! 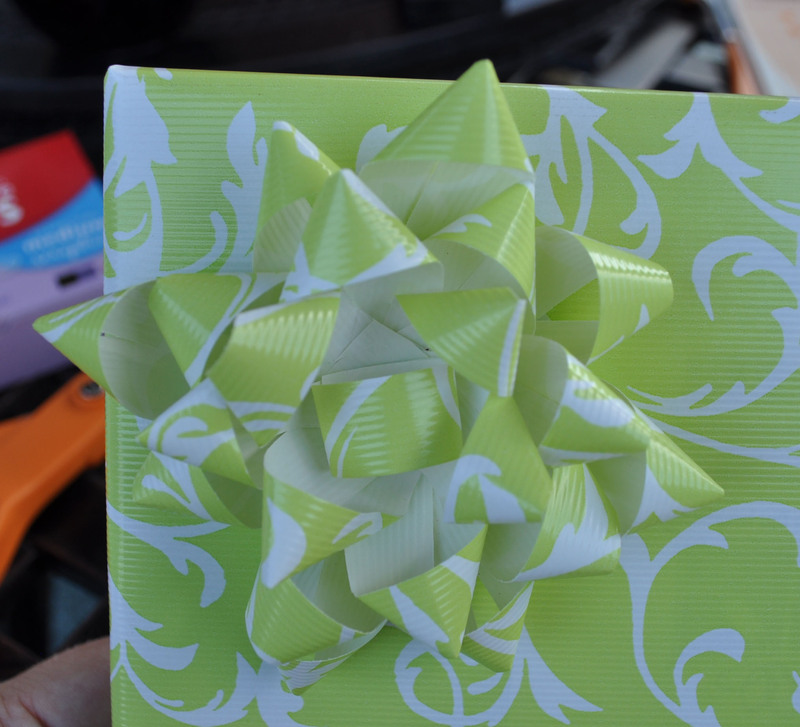 This entry was posted in DIY, Wrapping Presents and tagged diy, DIY bows, Free Bows, Homemade bows, Ideas for wrapping presents, Paper, wrapping presents. Bookmark the permalink.